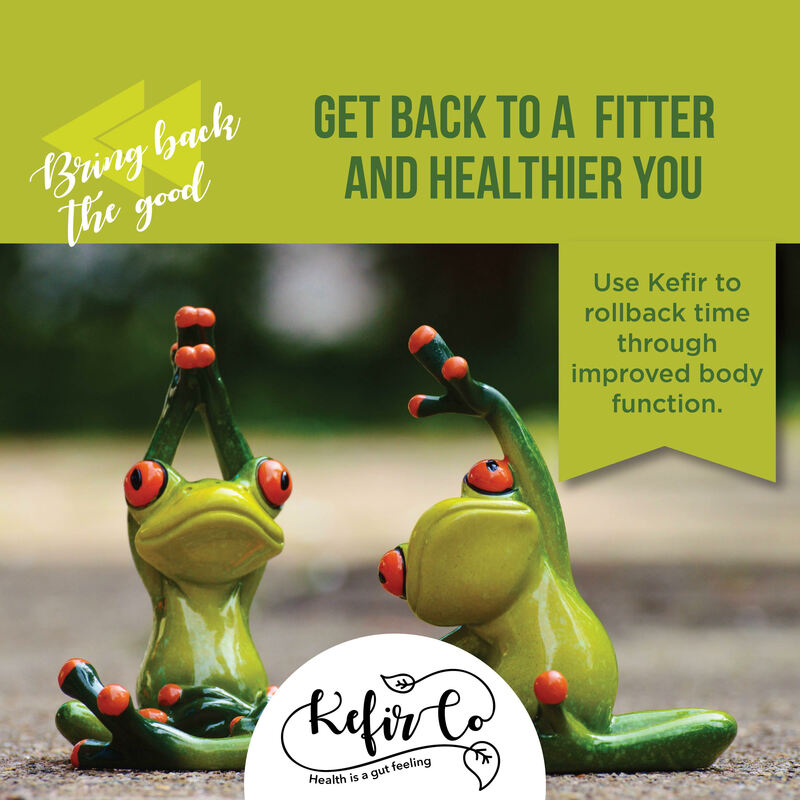 Why the most powerful probiotic, Kefir, brought to you by KefirCo, is the elixir your skin has been asking for! New research shows that the likes of eczema, psoriasis, rosacea and acne are not actually skin conditions but autoimmune disorders that sit in the gut. So, it appears kefir has the potential to significantly re-populate gut bacteria and thus heal the skin. Many people have, to some extent, some level of microbiome damage due to antibiotics, sugar and stress. On the skin, this can appear as eczema, psoriasis, rosacea or acne; in your brain, it shows up as anxiety or depression; in the nervous system it can appear as fatigue; in the gut, it manifests as pain, bloating, food allergies or IBS and in your sinuses it shows up as allergies. In short, in order to heal the skin, you have to heal the gut, and kefir has been proven to do precisely this. Choose any of our five delicious variants: Spring Water kefir, A2 Organic milk kefir, Goat milk kefir, Coconut water kefir or Cinnamon coconut water kefir, and get on the path that leads you straight to glowing skin!